St Mary Bourne's Neighbourhood Plan was adopted in November 2018. 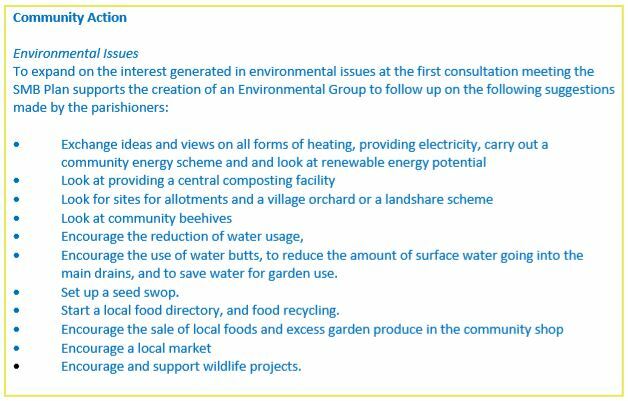 During the extensive public consultation that took place as part of the process, a number of community actions were identified as being desirable by parishioners, including a number relating to 'environmental issues'. The Sustainable Bourne Valley group was set up in January 2019 to take on responsibility for these actions. If you would like to join the group, or would like more information, please contact the clerk.